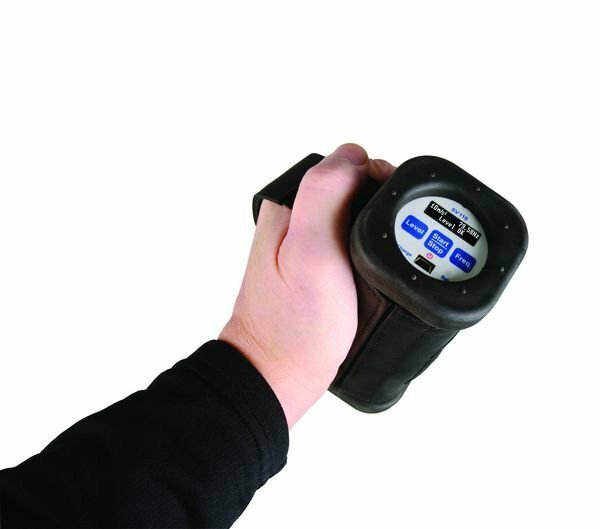 Our extremely compact SV 110 hand-held vibration calibrator is designed for verification of machine sensors, as well as on-site checks of human vibration accelerometers, to ISO 8041. Faults caused by transverse vibrations are indicated by two LEDS on the calibrator’s housing. This unique solution ensures stability of both the calibration level and frequency, independent from the mass of the test object. The small size of the SV 110 makes it perfect for calibration checks of both machine vibration accelerometers and hand-arm vibration meters including our SV103 and SV106 instruments. It can take loads up to 300 grams which makes it incredibly versatile. Depending on the selected frequency, the user can also choose to calibrate from 1 m/s2 to 10 m/s2. The SV 110 calibrator has built-in rechargeable batteries that will power it for 12 hours of continuous operation. Our SV 111 is a state of the art calibrator designed for in-situ checks to ISO 8041. Intended for use in the field for pre and post calibration it is ideal for quickly checking an instrument’s basic calibration and functionality.